« Making Money In Magazines And Magazine Media – Day Three Of The Magazine Innovation Center’s ACT 8 Experience Is Seeing $$$ Signs! 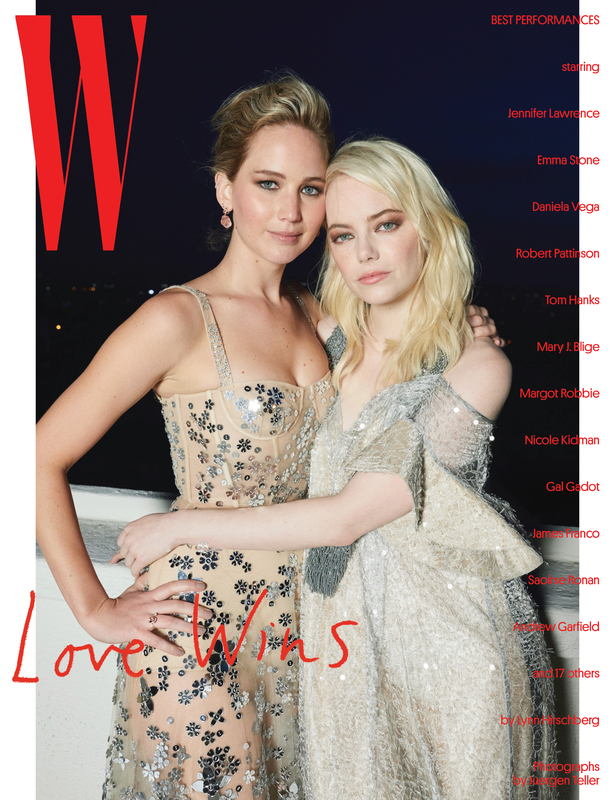 There is no denying that W magazine is a magical thing. The photography is brilliant and the typography and oversized format draws it into that world of collectibles as easily as a Fabergé egg would entice a collector of Romanov family history. But with the latest redesign and new presentation efforts propelled forward by the magazine’s editor in chief, Stefano Tonchi, the publication has become fine art, with each issue its own unique thematic piece. I spoke with Stefano recently for a charming conversation about all of the changes that have been implemented at W to give the magazine an even more “keep it forever” flavor. Stefano is a man as passionate about his brand as anyone I have ever talked to. 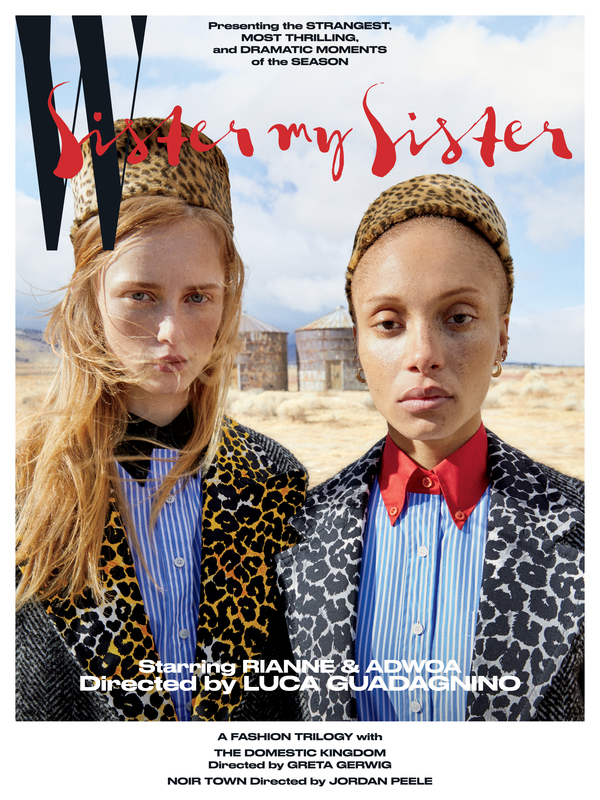 From the collector’s box that was designed to hold all of 2018’s issues, to the iconic broadsheet print format that he resurrected for special moments throughout the year, such as the “Best Performances” edition that was distributed during Golden Globes week, W magazine is on the cutting edge of what print today needs to be to stay innovative, relevant and addictive in this digital age we live in. Mr. Magazine™ couldn’t have said it better himself. And now the Mr. Magazine™ interview with Stefano Tonchi, editor in chief, W magazine. On how W is making print printier: For print, we said let’s slow down and really go deeply into the idea of collectible. Making print collectible. So, we got a better paper stock, we went to 150 grams, which is quite an investment. And we changed the cover stock, I added this glossy finishing for the logo and part of the covers. And we redesigned the magazine completely, so you saw the two issues; they’re really like thematic. We call them volumes because we don’t want to be tied to the article calendar, because there is no reason anymore for that. I felt that when you do print, you don’t need any more to be monthly or bimonthly, or whatever is the frequency, you have to be out when you have an interesting point of view. And also you need an interesting size, because you don’t want to see this magazine as like a little pamphlet. (Laughs) It’s kind of like motivating the audience. You want something that is substantial. So, we went to this new schedule of eight volumes, so we’re trying, as I said, to act instead of react, so I didn’t look at it as a reduction in the frequency, but really as a change of strategy. On commissioning a collector’s box for the volumes: The idea was finding out how we could make people understand that they should keep the magazine and collect it. So, we decided we should create a box, and every year we would create a different box with a different artist. On the collector’s box being sold out: We only created so many in quantity and they went very fast. You know, I think print has not changed in so long that we really need to rethink print. What is a print product? What should it look like? And how do we deliver it to people? If we declare that we’re a premium, luxury product; it has to look like a luxury product. It has to be on nice paper, wrapped and presented in a certain way. On W’s three D philosophy: discovery, diversity and disruption: Discovery is part of the DNA of the brand. We keep discovering new talent; we put the best and most talented people on our covers and give them their first exposure. Greta Gerwig was one of our first covers and she was so thankful that she collaborated with us doing the kind of movie-stills project we did. And diversity, again, that is something that we have pursued. Something W was doing even before my time here. I think I added maybe some layers to it. And also diversity has become such an important part of today’s conversation. 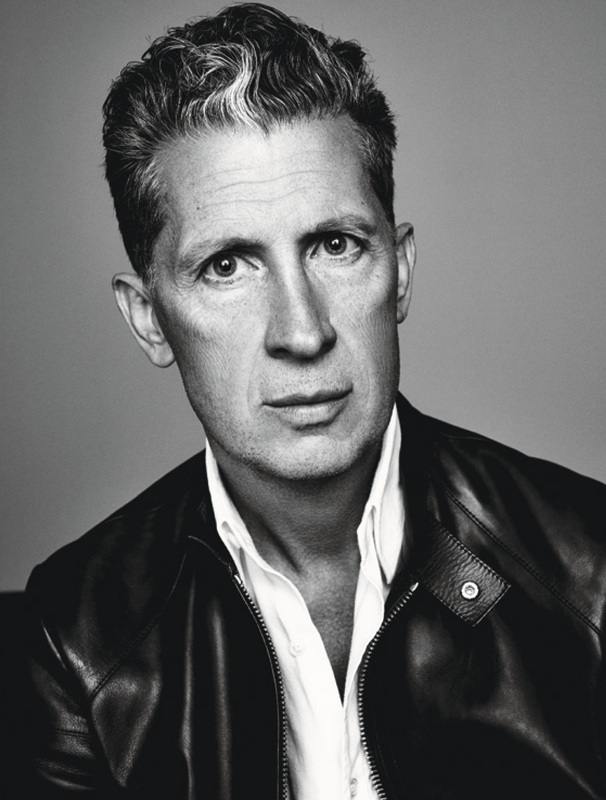 On a luxury product such as W magazine having diversity as one of its cornerstones: I think it’s a responsibility. You said luxury; I think luxury products more and more need to have an added value. You buy something because it means something, it’s not just an object. You’re buying also what that company stands for. And because your customers are educated, they do understand that. They like, say buying from a company that is behind a museum or a political statement or will spend that kind of money in promoting causes. It becomes part of really the idea of luxury, that sense of responsibility. On the third D – disruption: Disruption is doing things like the collector’s box, the print; changing the frequency completely or the ideal frequency, I would call that disruption. (Laughs) And to kind of surprise and be very unconventional. Look at the way we’ve been treating the movie industry in our Golden Globe coverage. Last year, we had two women kissing, two guys embracing; we created all of these ideas of couples and it was all about embracing diversity, and they were more than just pretty pictures. There was always a bit of an agenda or some kind of disruption in celebrity photography or celebrity coverage, in a certain way I think. 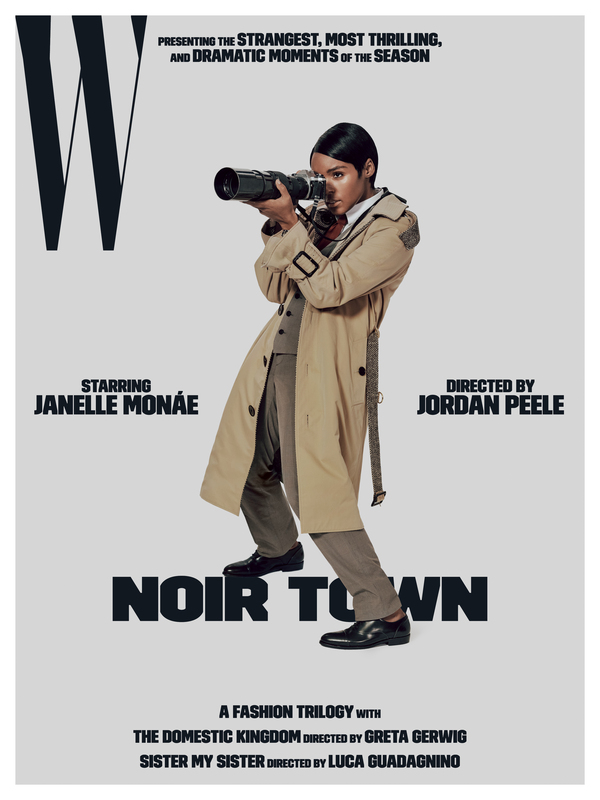 On bringing back the broadsheet to W magazine: That was another idea, to go against the current, to take something that is so old and kind of forgotten and say the broadsheet, that’s how the magazine was how W actually started. Between 1971 and 1992, it was just a broadsheet, a supplement to WWD, the lifestyle premium of WWD. So, we felt like again, let’s do something that’s totally different and goes against the current. People are doing so much digital that we said let’s take this content and print it on a broadsheet, the oldest thing possible. On whether all of the changes have been a walk in a rose garden for W: I think we are living in a very difficult time of transition. All publishing companies are suffering so much. And for some, change has come very fast and late. But I think everybody is going through what people used to call “growing pains,” but are now “changing pains,” because we know we need to change, but nobody knows exactly how. On whether this is the best of times for him: This has been an interesting New Year, because I’m very proud of what W is now. When I arrived six years ago, maybe there were too many people and too much waste, but today we are really small, and it’s nice to work with a small group of people who really feel and love the product. I think we all feel like we love doing the W that we’re putting out. We’re proud of it and we feel like it is what we want it to be. We feel very lucky that we can put out a magazine that still represents our vision. On anything he’d like to add: What I wish is that we will be able to really find a new way to distribute print magazines. I think we need to, altogether as an industry, understand that the world has changed, there are no more newsstands; a lot of the things cannot be measured the way that they used to be. At the same time, digital is not everything. Digital is not going to kill or be a substitute for magazines. But magazines have to find a different way to be perceived and distributed. On what keeps him up at night: I sleep very good. I have had some difficult moments, because business is not easy, but I’m not worried about how to do the magazine; I’m more concerned with what to put in the magazine. How to find this new way to present the idea of magazines? I think it’s more of what is a magazine today; that’s the question we have to answer. And now the lightly edited transcript of the Mr. Magazine™ interview with Stefano Tonchi, editor in chief, W magazine. Samir Husni: First of all, congratulations on winning an Ellie award. Stefano Tonchi: Thank you, that was a nice surprise. Stefano Tonchi: Yes, and what we talked about one year ago is what we are delivering. Last summer, I really thought a lot about how to make things happen, and the company really wanted a specific plan. And the plan became to act and not just react. So, with digital, we have to be faster, and we went with social first, and we’re doing so much with our Instagram. Instagram is really the language that W uses the most, because out of all the social media it is the one that’s most visual. And we’re a visual magazine and I think about Instagram as sort of our daily magazine. We just put out something that’s very fun that I would love for you to look at; it’s like a horoscope. There are 12 of them, but very sophisticated. It’s a way to show fashion and beauty in a different way for a generation who gets their magazines basically straight from the phone. We’re also launching something new called “Instazine” that is almost like an extension of Instagram stories, so it’s more about storytelling; more like creating content from the images, because what I find very shortcoming and frustrating, coming from print and making magazines, is that on digital you use and you leave images without the content around them. There is very little storytelling in a certain way. 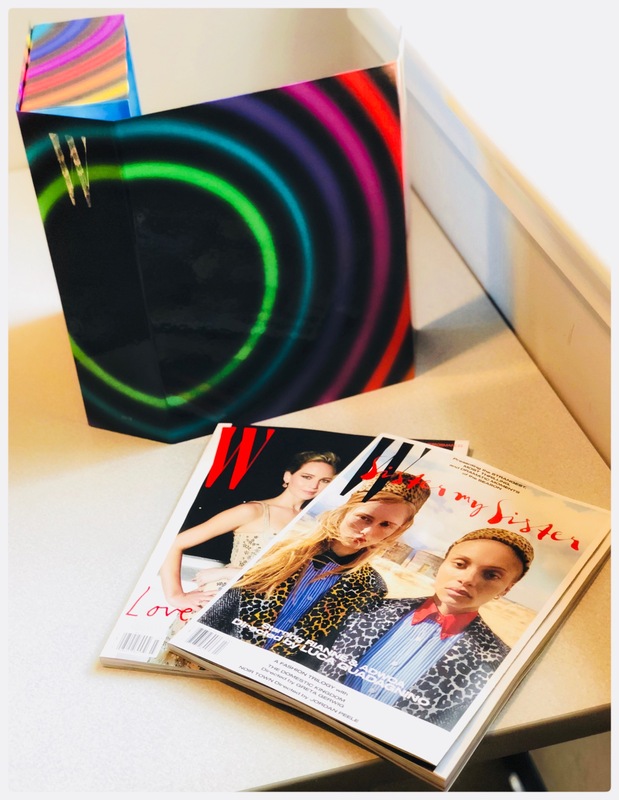 And that’s what we do with magazines, we tell stories and we put a story next to another story and that’s how you build your identity as a publication. A lot of what is on digital gets used as a single item and sometimes you don’t even know where it comes from or who paid for it. So, with digital, it’s fast, fast, fast. And for print, we said let’s slow down and really go deeply into the idea of collectible. Making print collectible. So, we got a better paper stock, we went to 150 grams, which is quite an investment. And we changed the cover stock, I added this glossy finishing for the logo and part of the covers. And we redesigned the magazine completely, so you saw the two issues; they’re really like thematic. We call them volumes because we don’t want to be tied to the article calendar, because there is no reason anymore for that. We are all kind of daily magazines, through Instagram, through the social media and the website. You are producing news every day. That’s what I think every magazine brand is today, a daily. So, I felt that when you do print, you don’t need any more to be monthly or bimonthly, or whatever is the frequency, you have to be out when you have an interesting point of view. And also you need an interesting size, because you don’t want to see this magazine as like a little pamphlet. (Laughs) It’s kind of like motivating the audience. You want something that is substantial. So, we went to this new schedule of eight volumes, so we’re trying, as I said, to act instead of react, so I didn’t look at it as a reduction in the frequency, but really as a change of strategy. Samir Husni: And you believe in this strategy so much that you’ve commissioned a collector’s box. Stefano Tonchi: Yes, because the idea was finding out how we could make people understand that they should keep the magazine and collect it. So, we decided we should create a box, and every year we would create a different box with a different artist. The first person who came to mind was Barbara Kruger and she didn’t have time then, but she will do it later, because I love Barbara. She did my first cover here at W, one of the first covers, the one with Kim Kardashian; the all about “me” cover, before the selfie. She was ahead of the times. So, when Barbara couldn’t do it, we asked Ugo Rondinone and he did this beautiful box, and we’re trying to make the same eight stripes of his target painting. Samir Husni: But the box is sold out, I understand. Stefano Tonchi: Yes, because we only created so many in quantity and they went very fast. You know, I think print has not changed in so long that we really need to rethink print. What is a print product? What should it look like? And how do we deliver it to people? If we declare that we’re a premium, luxury product; it has to look like a luxury product. It has to be on nice paper, wrapped and presented in a certain way. What would you think if you got home and on your doorstep there was this skinny, cheap-papered, in a plastic bag magazine? How could you call that a luxury product? I think magazines should become more expensive when you want them and also be delivered the way they do with the Net-A-Porter product. I think for the generation before our parents, receiving magazines was a joy. People could not wait to get it, to have it, to read it; to own it. Samir Husni: You’ve built your entire W philosophy now around the three D’s: discovery, diversity and disruption. Samir Husni: Can we talk about those three D’s? Stefano Tonchi: Sure. Discovery is part of the DNA of the brand. We keep discovering new talent; we put the best and most talented people on our covers and give them their first exposure. 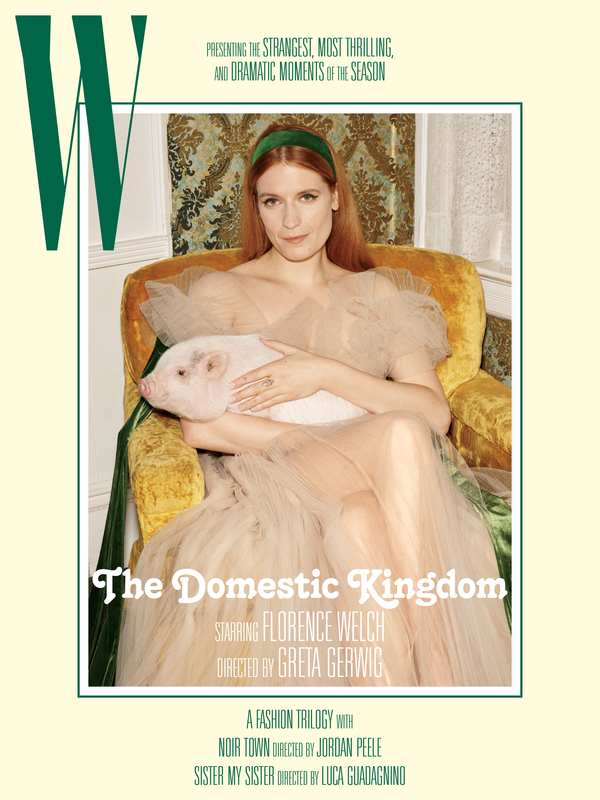 Greta Gerwig was one of our first covers and she was so thankful that she collaborated with us doing the kind of movie-stills project we did. We also discover talented photographers. We have an issue, Volume Three, that is, basically, cover to cover, all about discovery. A lot of new photographers; Ethan James Green, we were the first time that he shot covers, he did a man and a woman for the cover, just a lot of new people. And really discovering stories, that’s part of what we do. And I’m lucky enough that the magazine can take many more risks than other publications, because it is our audience who expects to be surprised somehow. And they can deal with surprises; they come to W for discoveries. I think if you’re more of a mainstream publication, it’s more difficult. And diversity, again, that is something that we have pursued. Something W was doing even before my time here. I think I added maybe some layers to it. And also diversity has become such an important part of today’s conversation. And the next issue, Volume Three, it’s all about it, because it’s our dual-gender issue. This year in particular, it’s all about life gender fluidity and bringing this new idea of gender without stereotypes to the forefront, that’s what it is. It’s not even about sexual orientation; it’s really about taking down stereotypes. Samir Husni: When people hear the word luxury, it’s rare that the word diversity comes next. 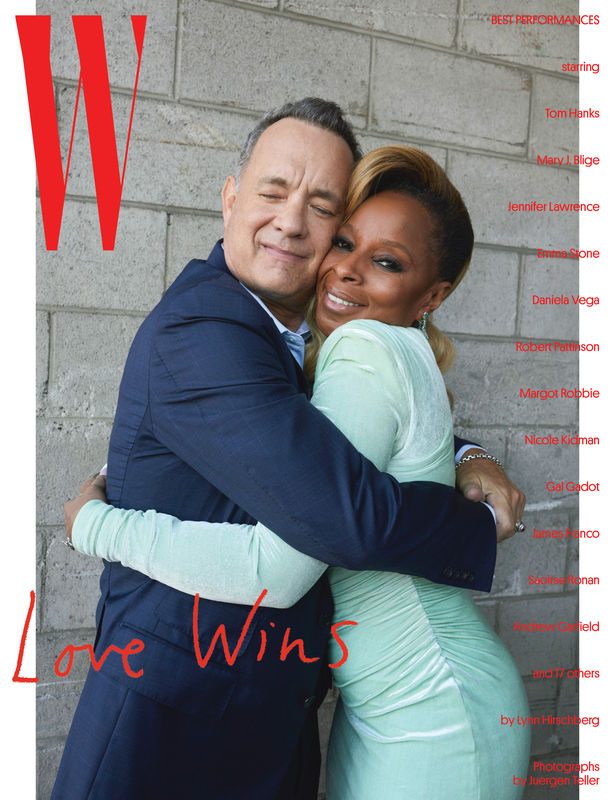 It’s intriguing enough that a luxury magazine such as W has diversity as one of its cornerstones. Stefano Tonchi: I think it’s a responsibility. You said luxury; I think luxury products more and more need to have an added value. You buy something because it means something, it’s not just an object. You’re buying also what that company stands for. And because your customers are educated, they do understand that. They like, say buying from a company that is behind a museum or a political statement or will spend that kind of money in promoting causes. It becomes part of really the idea of luxury, that sense of responsibility. And the customers look for that and they notice it. When you’re there and you’re trying to decide whether to buy this bag or that bag and both are luxury products, I think people take into consideration whether the company is actively responsible or not, or goes along with their principals about a subject, such as sustainability. Or their principals on gender equality or the company has been investing so much in women’s rights. Or the company is behind great artistic commitments, in terms of what they’re associated with. So, then what you buy is associated with those causes. With a magazine, you kind of have to take a position, because your readers want to associate with the causes that you’re behind. Samir Husni: And you’re third D, disruption? Stefano Tonchi: Disruption is doing things like the collector’s box, the print; changing the frequency completely or the ideal frequency, I would call that disruption. (Laughs) And to kind of surprise and be very unconventional. Look at the way we’ve been treating the movie industry in our Golden Globe coverage. Last year, we had two women kissing, two guys embracing; we created all of these ideas of couples and it was all about embracing diversity, and they were more than just pretty pictures. There was always a bit of an agenda or some kind of disruption in celebrity photography or celebrity coverage, in a certain way I think. When you call in some film director to work with, to create some fashion portfolios, it’s innovation; it is rapture, I think. When you ask an artist to do a cover or to collaborate with a celebrity to make something special. To me, that’s disruption, because it breaks the way things have been done so far. Samir Husni: Also, part of that disruption, this year at the Golden Globes, you brought back the broadsheet W.
Stefano Tonchi: That was another idea, to go against the current, to take something that is so old and kind of forgotten and say the broadsheet, that’s how the magazine was how W actually started. Between 1971 and 1992, it was just a broadsheet, a supplement to WWD, the lifestyle premium of WWD. So, we felt like again, let’s do something that’s totally different and goes against the current. People are doing so much digital that we said let’s take this content and print it on a broadsheet, the oldest thing possible. Samir Husni: Has all of this been a walk in a rose garden for you? Everything you’re telling me, I can tell you are very passionate about. Stefano Tonchi: I think we are living in a very difficult time of transition. All publishing companies are suffering so much. And for some, change has come very fast and late. But I think everybody is going through what people used to call “growing pains,” but are now “changing pains,” because we know we need to change, but nobody knows exactly how. I have gotten a lot of support from the executives here at Condé Nast, like Bob (Sauerberg), and Anna (Wintour) have been very supportive. I think they were very impressed because we try and deliver what we talk about. We deliver it financially, that’s important, but we also deliver it as a product. Each issue should have some reason to be collected, every issue so far has its own specific graphic and photography identity, and there’s a common idea that runs through the issue. So, they’re unique products in that sense. And that’s what makes them collectible. The first issue was about the movie industry in a certain way and about fashion. And there was also this idea of handcraft, all of the typography in the well was handwritten. So, there was this real touchy and feely aspect. Like the touch of a human hand, it was really a message that I wanted to put in that issue. The second issue had this idea of collaboration, where we were inspired by movie posters and the three covers became like three movie posters. Every single story had an opening that was a movie poster. Volume Three is about identity and we were inspired very much by ID cards, but the design and the graphic design of the issue is about the idea of ID tags. Almost like stickers that you wear to say who you are, because it is about gender identity. We think about the issues almost like books, in a certain way. And we try to tell stories that have a little bit more of a reason to be preserved and told. They don’t have an expiration date. Samir Husni: Between the Instazine and W, Instagram and all of your travels, is this the best of times for Stefano? Stefano Tonchi: This has been an interesting New Year, because I’m very proud of what W is now. When I arrived six years ago, maybe there were too many people and too much waste, but today we are really small, and it’s nice to work with a small group of people who really feel and love the product. I think we all feel like we love doing the W that we’re putting out. We’re proud of it and we feel like it is what we want it to be. We feel very lucky that we can put out a magazine that still represents our vision. Samir Husni: And it’s well-executed and gorgeous. Stefano Tonchi: Thank you. I know you see a lot of them. And you read a lot of them. We don’t pretend to be The New Yorker or anything else, but I think we do well with our own mission. Stefano Tonchi: What I wish is that we will be able to really find a new way to distribute print magazines. I think we need to, altogether as an industry, understand that the world has changed, there are no more newsstands; a lot of the things cannot be measured the way that they used to be. At the same time, digital is not everything. Digital is not going to kill or be a substitute for magazines. But magazines have to find a different way to be perceived and distributed. And we have to help. The box is kind of a way to say, let’s produce things that can go into the box. Let’s produce things that you want to keep. That’s the idea. Samir Husni: And as you said earlier, when our parents would receive magazines in the mail, it was a joy and there was value. Stefano Tonchi: Yes, there was joy because it was their way of knowing what was going on. And it was this fantastic, magic object. So, let’s put back the magic in magazines. Stefano Tonchi: I sleep very good. I have had some difficult moments, because business is not easy, but I’m not worried about how to do the magazine; I’m more concerned with what to put in the magazine. How to find this new way to present the idea of magazines? I think it’s more of what is a magazine today; that’s the question we have to answer.